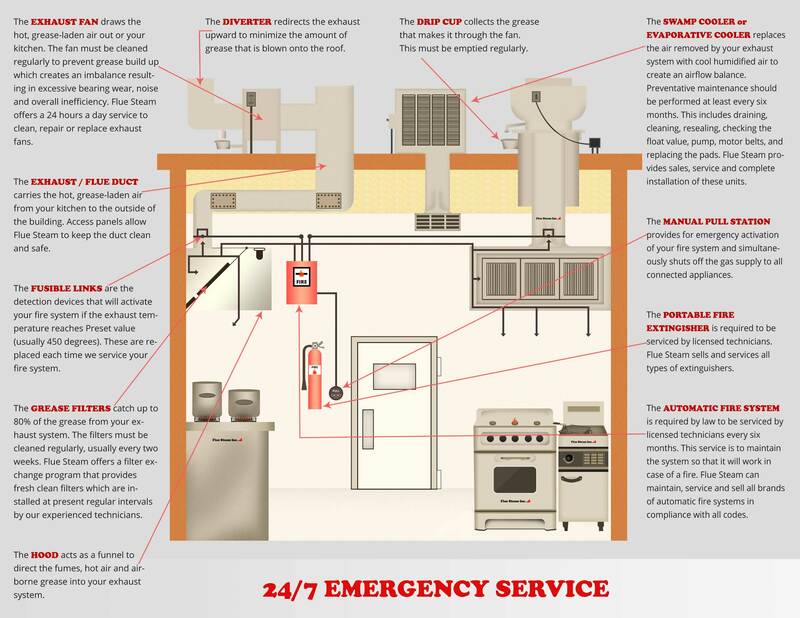 Worried about what kinds of violations a surprise visit from a fire code inspector might uncover in your commercial kitchen exhaust system? You can trust Flue Steam to provide the thorough restaurant kitchen exhaust cleaning in Ontario CA you need to satisfy code inspectors, eliminate fire hazards, and keep your kitchen smoke- and odor-free. 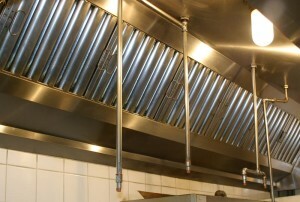 We offer two methods of restaurant kitchen exhaust cleaning in Ontario CA, hand scraping and steam cleaning. Most kitchens will need their exhaust hoods scraped by hand every month and their entire duct system steam cleaned every 3 to 6 months. Exhaust fan inspection: As a courtesy to our clients, we always inspect the exhaust fan when providing restaurant kitchen exhaust cleaning in Ontario CA. We grease the fan bearings and we can even replace the fan belt if you have spares on hand. Have you fallen behind on your restaurant kitchen exhaust cleaning in Ontario CA? Don’t worry. We can have a crew at your restaurant ASAP. Please call 800-700-FLUE now to schedule service.